Auto-scaling, i.e., acquiring and releasing resources automatically, is a central feature of cloud platforms. The key problem is how and when to add/remove resources in order to meet agreed service-level agreements. Many commercial solutions use simple approaches such as threshold-based ones. However, providing good thresholds for auto-scaling is challenging. Recently, machine learning approaches have been used to complement and even replace expert knowledge. We propose a dynamic learning strategy based on a fuzzy logic algorithm, which learns and modifies fuzzy scaling rules at runtime without requiring prior knowledge. The proposed algorithm is implemented and evaluated as an extension to the OpenStack cloud platform, integrating it with the Heat and Ceilometer components for orchestration and monitoring, respectively, using Heat Orchestration Templates. We specifically focus on implementation and experimentation aspects here. Our auto-scaling approach can handle various load traffic situations, delivering resources on demand while reducing infrastructure and management costs. The experimentals show promising performance in terms of resource adjustment to optimize SLA compliance (response time) while reducing cloud provider’s costs. 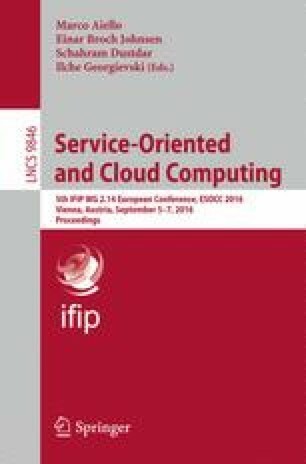 This work was partly supported by IC4 (the Irish Centre for Cloud Computing and Commerce), funded by EI and the IDA.